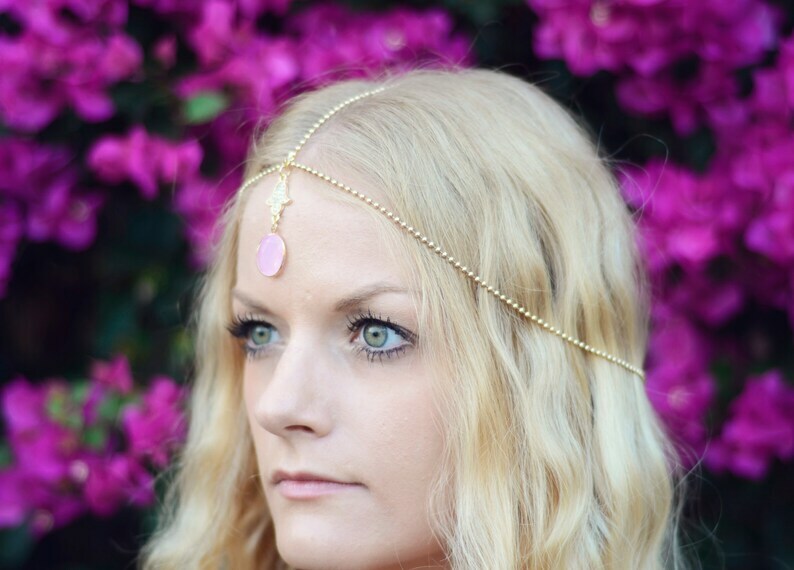 We make these beautiful handmade Indian-inspired tikka hair jewelry made with gold chain and pink and crystal stone. Beautiful baby pink colored stone. 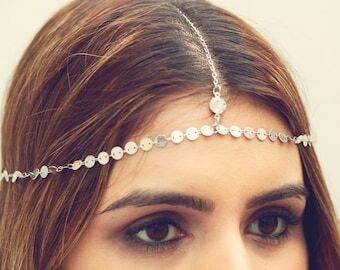 This is a very easy simple look for a festival like Coachella. 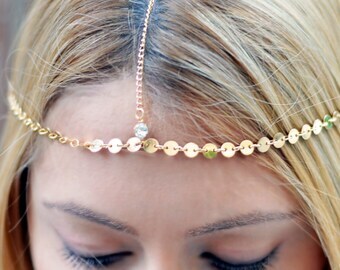 This Hair Chain will make you look amazing and boho chic!!! 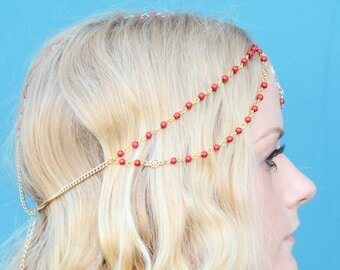 Perfect for prom, weddings, parties, festivals and more! 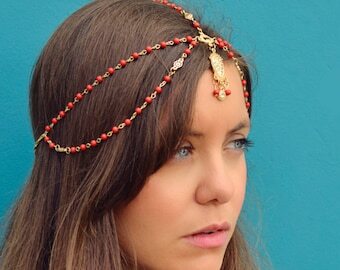 It has a hamsa, evil eye protection that is encrusted with crystals. 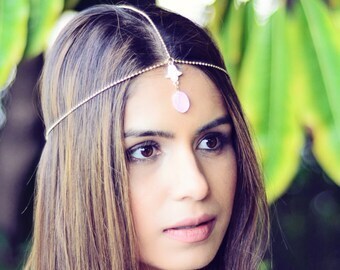 This is a Middle Eastern tradition to protect yourself from negative energy. 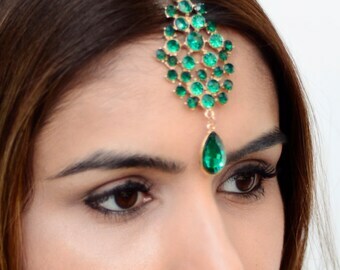 Beautiful!!! 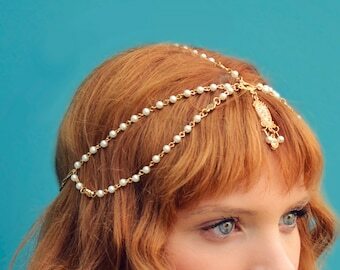 It will make a great summer headpiece.